THE DAN QUIGLEY JAZZ SEXTET! OR at the Refreshed Shop on the verandah at 982 Moggill Rd weekday mornings OR the Church Office Thursday and Friday 9.30-4.00pm. Tickets also available at the door on the day. 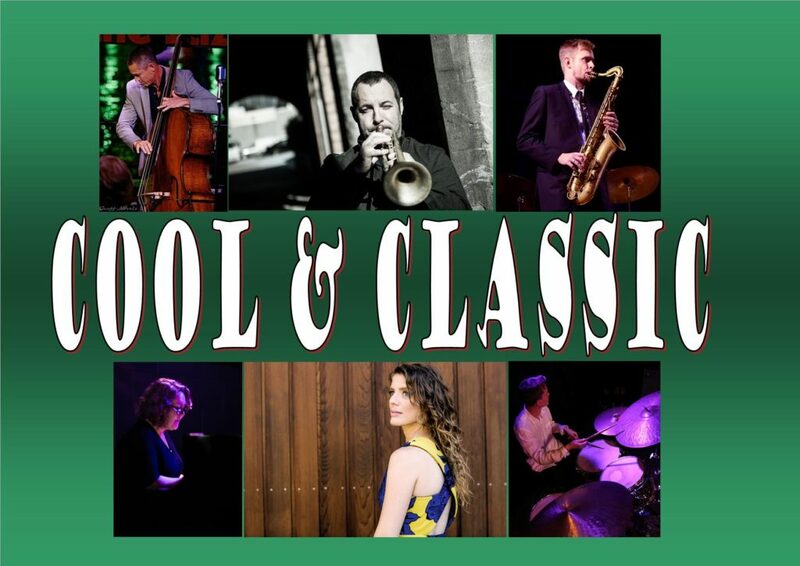 The Cool & Classic Concert series hosted by Kenmore Uniting Church is celebrating the opening of its 10th year on Sunday, 28th April, with an outstanding line-up of jazz musicians from the faculty of the Jazz Music Institute. Trumpeter Dan Quigley, has gathered five fellow staff members together in a sextet just for Cool & Classic.The Dan Quigley Sextet will play great jazz standards from the American Song Book and include songs by Duke Ellington, Jerome Kern, Thelonius Monk and Cole Porter. The JMI was founded by Dan’s father Greg Quigley who toured with jazz legends such as Woody Shaw and guitarist John Scofield before teaching at Brisbane schools. His children Dan and Paula have gone on to successful professional jazz careers, and now are also involved in the JMI, which has been operating for over twenty years. It is the only private higher education provider in Australia that delivers a Bachelor’s degree specialising in Jazz Performance. Dan has played professionally since he was 17 and performed with James Morrison, Tina Arena and Anthony Warlow among others. His sister Paula Girvan has been an active music educator and jazz pianist since 1992. She has performed and recorded in big bands, alongside rock stars and in her all female swing band, Yas Queen. Double bass player Andrew Shaw plays everything from jazz to flamenco and tango to country and western and has performed with James Morrison, Grace Knight and even Mandy Patinkin (yes, the movie star of Princess Bride!) and has recorded on more than 40 albums. Brisbane-based saxophonist and composer Joshua Hatcher was a finalist in the 2016 National Jazz Awards (saxophone), and the 2016 Composer-in-Residence for the West Australian Youth Jazz Orchestra. In 2018 he completed his Master of Music Research in composition at the Queensland Conservatorium of Music. Chris Evans is an up and coming young drummer, playing multiple nights a week with some of Brisbane’s finest musicians. The group are joined by Kristin Berardi, one of Australia’s most sought-after jazz singers. She has received awards at both international and national Jazz Festivals. Kristin has released ten albums including three Bell Award winning albums, and toured in Europe and Australia, performing also in Asia and New York. As always, there is a chance to talk to these outstanding musicians over a delicious afternoon tea.